Rutgers, The State University of New Jersey, which will be referred to as “the University,” is committed to supporting student organizations which permit and foster the student’s ability to freely associate and express themselves. This support is formalized through the University recognition system, which has been put in place to serve the interest of both the University and the student organizations. Student organizations that choose to be recognized by the University, accept the rights and responsibilities outlined in this policy. Within the University, schools, colleges, funding sources, student governing bodies or other entities have developed policies regarding the operation of student organizations. The Standards of Conduct for Registered/Recognized Student Organizations do not replace those standards, limit the procedures and sanctions provided by those policies, federal, state, or local laws, nor contradict or lessen those standards. All registered/recognized student organizations are expected to act consistently with the values of the University community. Student organizations are collectively responsible for any action committed by members on behalf of the organization that violates University policy. Disciplinary action against student organizations is separate from action taken against individuals. Facts of an incident may necessitate action against both a student organization and the individual members of that organization who were found to have violated University policy. a. Adherence to Law: Registered/Recognized Student Organizations must adhere to all federal, state, and local laws. b. Adherence to Other University Policies: Registered/Recognized Student Organizations must adhere to all University Policies, including those set forth by the organization’s governing department (i.e. University Department, Student Government, other published policies). c. Adherence to the Standards of Conduct: Registered/Recognized organizations may not file a false complaint, use this policy to harass or intimidate a student organization, or fail to cooperate or participate in the accountability process. d. Appropriate Use of Space: Registered/Recognized Student Organizations must use University – controlled spaced in accordance with the standards of the particular space. ii. Using student organization funds for purposes not authorized by the student organization and/or not in accordance with these Standards of Conduct and University Policy. iii. Failing to provide accounting of all contribution and reporting said contribution to the proper University unit. iv. Failing to follow Rutgers University governing boards policies on allocations and student fee usage. v. Monies must be maintained in an account at the Rutgers University Student Activities Business Office. vi. Misuse of Student Fees. f. Hazing: Hazing is strictly prohibited. All Registered/Recognized Student Organizations are to adhere to the University policy on hazing. g. Health and Safety: Registered/Recognized Student Organizations may not foster, promote, or participate in activities that unreasonably threaten the safety or well-being of their members, other people, or animals. h. Theft or Damage to Property: The unauthorized taking, misappropriation or possession of any real, personal, or intellectual property owned or maintained by the University or any person both on and off campus. i. Violation of the Student Organization’s Constitution and/or governing documents. 1. The Office of Student Conduct will oversee the process for addressing cases of Registered/Recognized Student Organization misconduct that involve violations of written University policies. 2. The University department which advises the organization, will oversee the completion of all sanctions implemented by the Office of Student Conduct and provide the Office of Student Conduct with updates regarding the completion of those sanctions. A list of sanctions can be found on pages 9-10. 3. Students whose actions in the alleged incident may violate University policy or federal, state, local or municipal laws may also be subject to individual disciplinary action under procedures set forth in the University Code of Student Conduct. Allegations of misconduct by a Registered/Recognized Student Organization should be made in writing to the Office of Student Conduct. 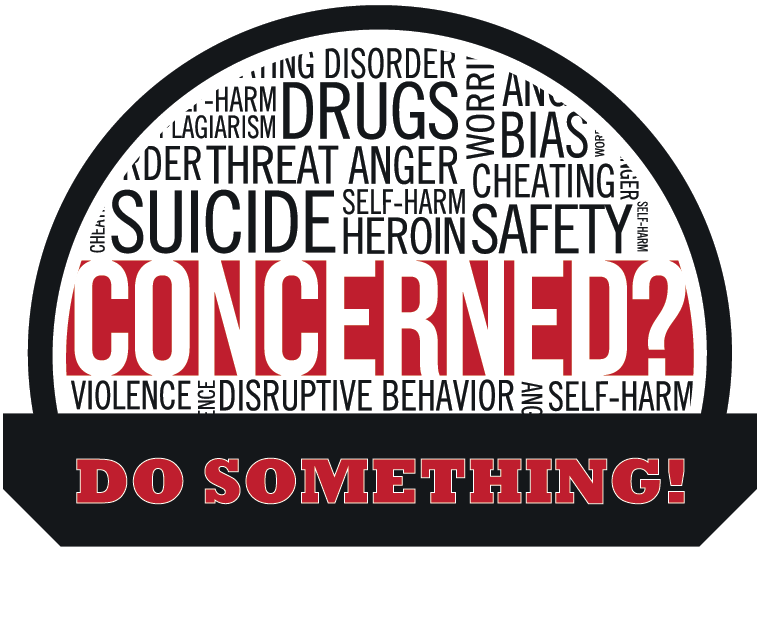 Complaints can be made online using the Rutgers University online reporting form found on the Office of Student Conduct website: http://studentconduct.rutgers.edu. 1. When possible, a personal interview with the person or persons making the allegation of misconduct will occur as soon as possible in order to answer any questions about information in the report and to gather information about any other possible witnesses to the incident. The interview will take place at the willingness of the participant. This interview will take place with a staff member in the Office of Student Conduct. When possible, a staff member from the corresponding department will also be present. At the conclusion of the interview/verification of information, a representative from the corresponding department and the Office of Student Conduct will meet to determine the validity of the allegation(s) to determine if there is enough information provided in the complaint to file charges against the organization or whether or not a formal investigation of the complaint needs to take place. 3. If there is enough information in the complaint to substantiate charges, an investigation does not need to take place. An official charge letter is sent to the organization by the Office of Student Conduct, listing the charges being filed against the organization and the recommendations for sanctions should the organization accept responsibility for the violation(s). The letter will give the organization a deadline to either accept responsibility or set a meeting with the Office of Student Conduct to discuss the matter. At this meeting the organization will be provided with all pertinent information regarding the matter and discuss the conduct process. It is strongly recommended that the organization meet with its corresponding department to discuss the incident, charges, and conduct process prior to meeting with the Office of Student Conduct and/or taking responsibility. If the organization accepts responsibility for the violation(s), sanctions are imposed and the matter will close once all sanctions are completed. If the organization does not accept responsibility for the violation(s), the Office of Student Conduct will send the case to either an Administrative Hearing or a hearing before the Student Conduct Board (details regarding each hearing type on pages 4-7). Please note, if the organization fails to respond to the charge letter, a response of Not Responsible will be automatically entered and the organization will be scheduled for an Administrative Hearing. 4. If there is not enough information in the complaint to substantiate charges but the allegations are serious, the case is sent for an investigation (investigation information on pages 10-11). A member of the corresponding office will be interviewed to gather background information at the start of the investigation. 5. If there is not enough information to warrant an investigation or charges, the organization is notified of the allegation and the possible consequences of that behavior should they be found responsible for the allegation(s) in the future. Information regarding the incident is kept on file in case additional information about the alleged incident is uncovered at a later time. Organizations should keep in mind that the Office of Student Conduct reserves the right to re-open any investigation if new information is discovered. 6. If at the conclusion of an investigation, there is not enough to charge the organization but it is discovered that there are irregularities within the organization’s processes, the Office of Student Conduct may work with the organization and put together an informal resolution agreement to assist the organization in resolving these issues. There are two options for resolution if an organization does not believe they violated University policy: Student Conduct Board Hearing and Administrative Hearing. Cases that may include removal of official University recognition must be addressed in an Administrative Hearing. Cases in which the sanction(s) will not include removal of official University recognition can be addressed in either an administrative hearing or a hearing before the Student Conduct Board. The organization chooses how they want their case addressed. Student Organization Conduct Board: This board is comprised of student leaders representing all organizations across the University community (Greek Life, Campus Recreation, and Student Involvement). The format of this hearing will run similarly to the University Hearing process. When an organization denies responsibility for a violation(s) of the Standards of Conduct, they may request a Student Conduct Board hearing, provided that the possible sanction outcome is not suspension or removal of registration/recognition. The hearing is a meeting of the complaint party and the accused organization before the Student Conduct Board and a Hearing Officer. The purpose of the Hearing Officer is to ensure that the correct procedures are followed and that both parties receive a fair hearing. 2. After the briefing, all the participants assemble and the Hearing Officer explains the procedures to be followed. 4. The Conduct Officer for Student Organizations will present their report which summarize the Preliminary Review and provides a brief summary of the facts that they plan to present to the board. 5. The accused organization provides an opening statement. 6. The Conduct Officer for Student Organizations will the present any physical evidence along with a narrative per item presented. 7. The Student Conduct Board, Hearing Officer, and accused organization question the Conduct Officer for Student Organizations. 8. The accused organization presents their physical evidence along with a narrative. 9. The Student Conduct Board, Hearing Officer, and Conduct Officer for Organizations question the accused organization. 10. The Conduct Officer for Student Organizations calls their factual witnesses, if any. Each witness gives a narrative, describing their knowledge of the event in question. If a witness cannot appear at the hearing, he or she may submit a notarized written statement. However, this statement can be used only to supplement or explain other information; it cannot support a finding by itself. 11. The Conduct Officer for Student Organizations questions their witness, followed by the Student Conduct Board, Hearing Officer, and the accused organization. 12. The accused organization calls their factual witnesses, if any. Each witness gives a narrative, describing their knowledge of the event in question. If a witness cannot appear at the hearing, he or she may submit a written statement. However, this statement can be used only to supplement or explain other information; it cannot support a finding by itself. 13. The accused organization questions their witness, followed by the Student Organization Conduct Board, Hearing Officer, and Conduct Officer for Student Organizations. 14. The accused organization makes a closing statement, summarizing their position. 15. The Conduct Coordinator for Student Organizations makes their closing statements. 17. The Hearing Office explains the procedures to be followed in deliberations. The Student Organization Conduct Board deliberates privately. 18. When the board has come to a decision, the Hearing Officer reviews the finding. 19. All participants reconvene and the Student Organization Conduct Board announces its decision. 20. If the organization is found not responsible, the hearing ends. If the organization is found responsible, sanctions are considered. a. The Conduct Officer for Student Organizations will recommend a sanction(s). If the organization has a prior disciplinary record, the Conduct Officer will provide this information to the board. 21. The Student Organization Conduct Board deliberates privately. 22. When the board has come to a decision regarding the sanction(s), all participants reconvene and the board announces its decision. 23. The hearing is concluded. 24. The accused organization has the right to appeal the outcome of the hearing. The students serving on this board are trained in hearing lower level violations of policy only. If an organization faces the possibility of suspension or removal of University recognition, the Student Conduct Board would not be the appropriate route for the organization. Administrative Hearing: This hearing is led by a Senior University Official (i.e. Dean of Students), known as the Administrative Hearing Officer. This format for this hearing is similar to the Disciplinary Conference. Organizations charged with hazing, or other violations of the Code of Conduct, especially those that may lead to suspension or removal of University recognition, will be required to utilize this process. An Administrative Hearing is a formal administrative meeting between an accused organization, the Conduct Coordinator for Student Organizations, and Administrative Hearing Officer. The Administrative Hearing Officer will consider information from both parties and determine whether the organization is responsible for the charges. The Administrative Hearing Officer will also determine sanction(s) if the organization is found to be responsible. 1. All participants are assembled and the Administrative Hearing Officer explains the procedures to be followed. 3. The Conduct Coordinator for Student Organizations presents their report summarizing the review and introduces any physical evidence. 5. The Administrative Hearing Officer questions both parties, then allow the Conduct Coordinator for Student Organizations and the accused student organization to ask questions of one another. 6. If there are any factual witnesses, they are called one at a time. Each witness gives a narrative, describing his or her knowledge of the event in question. The Administrative Hearing Officer questions the witnesses, then the accused organization and finally the Conduct Coordinator for Student Organizations. If a witness cannot appear at the conference, he or she may submit a written statement. However, this statement can be used only to supplement or explain other information; it cannot support a finding by itself. 7. In the event the accused organization is found responsible, the Administrative Hearing Officer ask the Conduct Coordinator for Student Organizations and the accused organization for recommended sanctions. 8. The Administrative Hearing Officer notifies the parties of the outcome of the Administrative Hearing in writing. The organization will be notified within 48 business hours. 9. Accused organizations have the right to appeal the outcome of an Administrative Hearing. Council Hearing: IFC, Panhellenic, MGC, and Professional Fraternity Association can only be authorized to address recruitment and membership violations. Those organizations found to be in breach of the recruitment and/or membership policy will go before its council board. Sport Club Council (SCC): SCC is authorized to address issues surrounding sportsmanship, peer management, travel issues, fiscal policies, and injury management issues only. 1. Organizations have the right to have their complaint heard by unbiased individuals. Organizations can object to a conduct case manager, hearing officer or hearing board member with cause. The validity of the objection will be determined by the Director of Student Conduct or his/her designee. 2. Organizations have the right to have an advisor present at all disciplinary meetings or hearings. The advisor may not actively participate in any proceedings. It is the responsibility of the organization to insure attendance of the advisor at any proceeding, as meetings and hearings will not be rescheduled to accommodate advisers. 3. Organizations have the right to written notice of the charges placed against them and the time and place of any meeting or hearing. Proper notification is defined as delivery of mail to the organization’s address or mailbox. Notice will be also be sent through email to the president’s established email account. 4. Organizations have the right to receive a copy of all information to be used against them at hearings. This information will be provided to the organization at least five business days prior to a hearing. 5. Organizations have the right to hear and respond to all information presented against them. This includes the right to question witnesses at the hearing. 6. Organizations have the right to present information and witnesses on their behalf. Character statements and witness statements should be submitted in writing before the hearing. Character statements will not be considered when determining a violation. 7. Organizations have the right to written notification of the results of the hearing no later than five business days after the hearing. 8. Organizations have the right to appeal the outcome of the hearing no later than ten business days after notification of the decision. Holidays and University breaks will be the only exception. In certain circumstances, it may become necessary to impose interim action(s) against an organization while a conduct matter is being addressed. Interim action will be imposed: 1) to ensure the continued safety and well-being of members of the University community or preservation of the University or 2) the organization’s continued presence posed a threat to the safety and well-being on members of the University community. 1. Suspension of Organization Activity: the organization is prohibited from participating in any University activity and promoting University programs without express permission from the Vice Chancellor of Student Affairs or his/her designee. 2. Suspension of the New Member Program: All meetings and activities of the New Member program must cease. Chapter officers and all members are restricted from communicating with the New Members. 1. An official letter is sent to a representative of the organization by the Office of Student Conduct. The letter details the type of interim action imposed and the process for appeal. 2. An organization may petition to the Vice Chancellor of Student Affairs or his/her designee within 48 hours of receipt of the official interim action letter to appeal the imposition of the interim action. The Vice Chancellor of Student Affairs or his/her designee will meet with an official representative of the organization and will examine information provided by the Office of Student Conduct in order to make a decision. a. If the Vice Chancellor of Student Affairs or his/her designee determines that there is no potential threat or danger to community members by the activity or organization, the interim action is lifted. Conduct charges will still need to be addressed by the organization. b. If the Vice Chancellor of Student Affairs or his/her designee determines that there is a real or potential risk to the health, safety, or property of Rutgers University community members, the interim action is upheld. The Office of Student Conduct is then asked to proceed with the conduct process. When an organization violates University policies, sanctions are put in place to inform the organization that the behavior(s) exhibited are unacceptable and are not aligned with the values of the University. Where possible (and necessary), sanctions put in place can be a combination of punitive, educational, and/or restorative. Formal Written Reprimand: A formal notice that the Standards of Conduct have been violated and a warning that future violations will be dealt with more severely. Written plan for reconstruction of the organization: A plan of action, which outlines various actions the organization must take in order to enhance itself and be a benefit to the University community. Fines: Payment of a monetary fine. Restitution: Required compensation for loss, damage, or injury to the appropriate party in the form of service, money, or material replacement. Class/Workshop Attendance: Attendance and completion of a class or workshop that will assist the student organization avoid future non-compliance with the Standards of Conduct. Educational Project: Completion of a project specifically designed to assist the organization avoid future non-compliance with the Standards of Conduct. Service: Performance of a task, or tasks, designed to benefit the community and that also assists the student organization avoid future non-compliance with the Standards of Conduct. Inability to access University Funds: Rendering an organization’s University account inactive so as to prevent access to funds or services being granted or disbursed. This includes Generated Revenue as well as student fees allocated to the organization. This sanction is typically imposed when there are concerns regarding the appropriate use of funds by the organization. Restricted Activities: Restricting the student organization’s ability to access University controlled benefits and resources. Disciplinary Probation: A formal written notice that the organization is not in good standing with the University and its actions will be monitored for a period no less than one semester. During this period, any further violations of the Standards of Conduct will result in harsher sanctions. Restrictive Probation: A formal written notice that the organization is not in good standing with the University and has now lost certain privileges for a period no less than one semester. During this period, any further violations of the Standards of Conduct will result in Disciplinary Suspension. During this period members of the organization may be restricted from holding leadership roles within their respective governing organizations (i.e. Interfraternity Council, Panhellenic Council, Sports Club Council). Disciplinary Suspension: Separation of the organization from the University for a period no less than one semester. De-Registration/Recognition: Temporary separation of a student organization from the University. Organizations that are de-recognized are not eligible to apply for recognition for a period up to five years. The length of time is at the discretion of the Office of Student Conduct. Permanent De-Registration/Recognition: Permanent separation of a student organization from the University. Organizations that are permanently de-recognized are not eligible to apply for recognition. Any change to this must be approved by the Vice Chancellor of Student Affairs or his/her designee. The organization representative (typically the President) will receive written communication from the Office of Student Conduct with directives. The investigation will occur on the same day as the notification. All requested members of the organization shall appear at the designated location during the time requested. Please note: ONLY class schedules will be taken into consideration and addressed accordingly. Any individual refusing to cooperate with the Investigation Process may be charged with Code of Student Conduct violation: Failure to Comply. Upon entering the waiting room, all cell phones will be required to be turned off. A staff member will remain in the room during the duration of the Investigation. Members of the organization shall be called individually to another location to meet with the Investigators. Once the student’s meeting with the Investigators has concluded they will be dismissed. They will not be permitted to re-renter the waiting room. At the conclusion of the investigation, Investigators will have 72 business hours to put together the Investigation Report. The Conduct Coordinator for Student Organizations will meet with the organization’s leadership and corresponding department representative once he/she has received the Investigation Report. During the meeting a copy of the report shall be furnished to both parties for review. The Conduct Coordinator will permit the organization’s leadership to discuss the matter from their perspective. Following this dialogue, the Conduct Coordinator will inform both the organization’s leadership and corresponding department representative if he/she finds enough information to charge the organization with a violation of the Standards of Conduct and recommended sanction(s) if the organization accepts responsibility. If there is enough to charge the organization, the Conduct Coordinator will have 48 business hours following the meeting to send notice of the charges and sanction recommendations in writing to the organization’s leadership. The letter will include a deadline for the organization to respond. If the organization accepts responsibility, the sanctions will immediately go into effect. If the organization chooses not to accept responsibility or is non-responsive, an automatic response of not responsibility will be entered on the organization’s behalf and the organization will go through the appropriate hearing process. The CAC will meet to consider the organization’s appeal. If the sanction is removal of registration/recognition the appeal will be considered by the Vice Chancellor of Student Affairs or his/her designee. o Dismiss the finding and send the case to a new Administrative Hearing/Student Conduct Board. o There was a procedural error so significant that is deprived the organization of a fair disciplinary process. o The CAC will modify a sanction only if it is found to be severely disproportionate to the offense. o The organization is notified in writing of the committee’s decision.